If you look at one of most popular posts on the iimjobs blog (5 KILLER Interview Tips No One Told You About), you’ll see that it’s never a good idea to discuss salary during the interview process. The problem with discussing salary early in the process is that it is difficult to revisit that discussion later. It is impossible to ask and justify salary higher than what you mentioned earlier in the process. On the other hand, if the employer thinks your salary expectations are higher, they might decide to not engage with you any further. 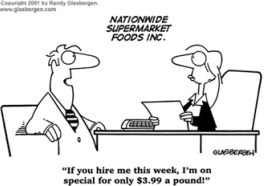 It’s always a good idea to avoid salary discussions before intent of hiring you has been clearly communicated. Give them a broad range, if it is absolutely unavoidable. More you delay these discussions, easier it’ll be for you to negotiate a higher salary. The first offer is based on various factors – previous drawn salary, internal salary bands, budget, etc. It’s not cast in stone. Most hiring managers have tremendous leverage and can easily revise it further. They’ve already invested so much time & effort in screening, interviewing various candidates. You can easily get 10-15% over initial offer without doing anything. Look closely at the below 4 tips before entering into any salary negotiation. Your employer would always want you to accept the offer immediately because they know they’ll get a better deal that ways. Never accept the offer immediately. This puts you in a much stronger position. The hiring manager will think that they’ll lose you to another employer (or competitors) and revise the offer so that they could close the position ASAP. It’s always a good idea to research market salaries. Find out what your peers are earning in the industry. It’ll give you an idea if you are over or underpaid vis-à-vis your peers. It’s always a good idea to share these reports with hiring managers, if you are underpaid. Always maintain a positive attitude towards the employer and the job/role. Make sure you acknowledge the opportunity and conduct these discussions professionally. At no point during these discussions should they think that they hired the wrong person for that position. There have been cases of employers revoking the offer. You would be in the best position to negotiate if you have multiple offers in hand. The hiring manager will treat you with lot more respect if they feel that you are in demand elsewhere. They’ll also be worried that they’ll lose you to some other employer (or competitor). Try to pretend that you have choices, even if you don’t have multiple offers. Having said all this, it’s never a good idea to take up a job/role for the salary & benefits alone. There is no downside in taking 15-20% salary cut for a role/employer that you like. What do you think? Next Next post: Will we ever get there?